1. 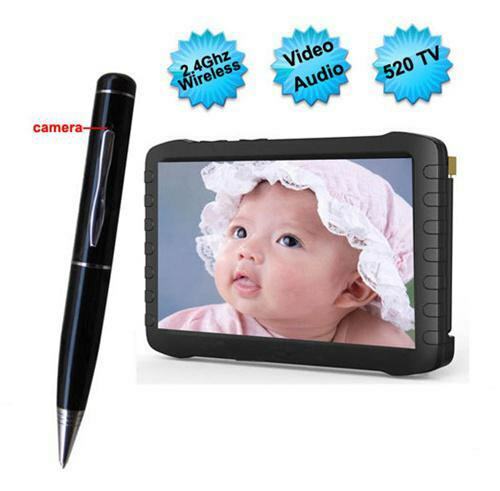 Wireless transmission provides real time video on DVR for easy viewing as you record. 2. Near and far focus available, near focus for recording of small text. 3. Video Format: Mpeg-4, AVI (640 or 320 @ 30fps) MP4, 3GP. 4. Memory: built-in flash: 2GB, supports SD cards from 1GB to 32GB. 5. 520TV line camera for clear sharp images. 7. Min. 100m transmission distance without blocks. 8. Can take video/pictures in low light.